For the third month this year, Colorado has made the cover of the official journal of the National Rifle Association, America’s First Freedom. 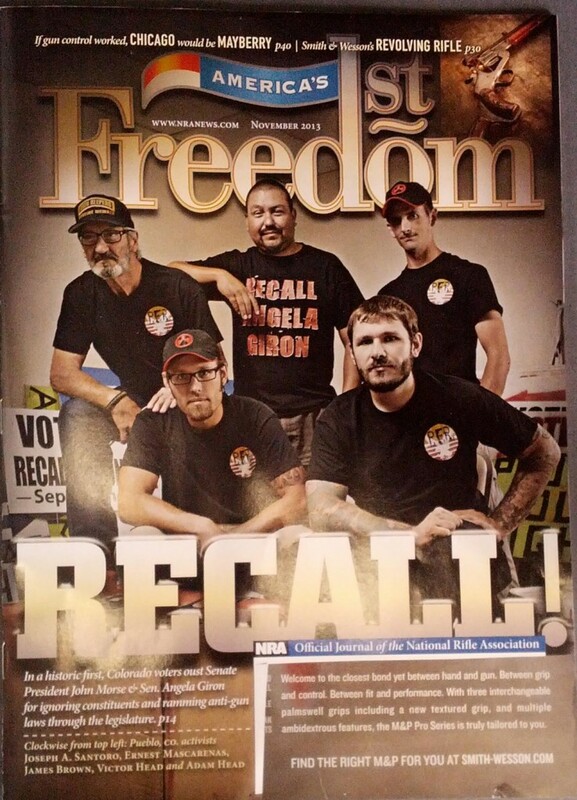 This time, the magazine cover features the architects of the Pueblo recall effort, activists Joseph Santoro, Ernest Mascarenas, James Brown, Victor Head, and Adam Head. These guys may have saved our state from Billionaires that want to turn us into criminals for owning guns. They did a great job.